The idea behind staging a home is to highlight its best features and amenities, and to minimize the areas not so likely to be selling points. Staging doesn’t mean a bit of decorating, repairing and cleaning, it is the art of changing your home so it appears larger, brighter, and more inviting to prospective buyers. The best way to determine if your home needs staging is to hire a professional in this field. Prices will vary depending on the size of your home, where you live, and amount of work needed. A walk through of your home and yard, including a look at its curb appeal, which is followed by a staging report giving advice and recommendations for paintwork, de-cluttering, furniture arrangement, etc. Home stagers usually have quality home repair and improvement referrals if needed. Try and do most of the work yourself, especially the de-cluttering, painting and smaller maintenance tasks to keep costs low. Make sure that you are aware of the changes to be implemented, and if this will be done with your own furniture and décor (or the stagers). Get a breakdown of the cost and duration of the staging. 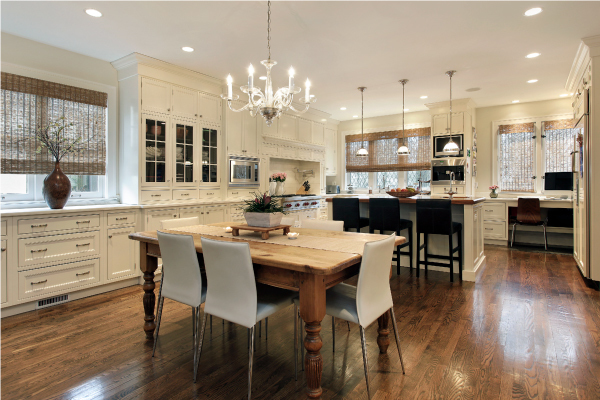 Ask to see the stager’s previous work, and how they will communicate with you throughout. Ensure that the changes will be easy for you to maintain while showing your home. I offer quality staging advice to all my sellers. I have excellent referrals for staging pros that know how to make your home appealing to buyers. Let’s have a one-on-one talk if you are considering a home sale in the Chicagoland area. Dining in Chicagoland, My Favs!